Living in the Orlando area definitely has its perks. Sunshine, palm trees, blue skies and world class restaurants. You know I had to mention food! It’s funny how our perspective on Florida changed after first moving to the Sunshine State and how it continues to change as we discover hidden treasures and deliciousness in new restaurants. My friends at Fresh From Florida asked me to write about all the deliciousness that comes from my new home state, and although this is a sponsored post all opinions, text and deliciousness are 100% mine. When you live in a state that promises deliciousness, finding a restaurant that delivers on that promise isn’t hard to do. 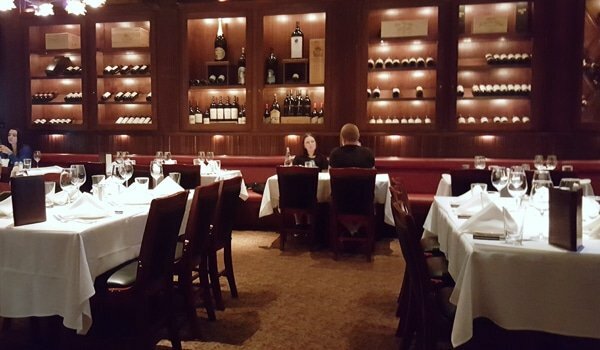 This week I had the pleasure of dining at one of Orlando’s premiere restaurants, Charley’s Steak House. 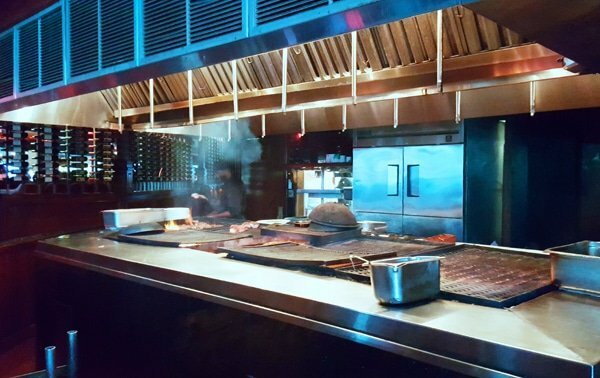 Charley’s Steak House has been cooking over wood on custom-built pits for over 40 years. 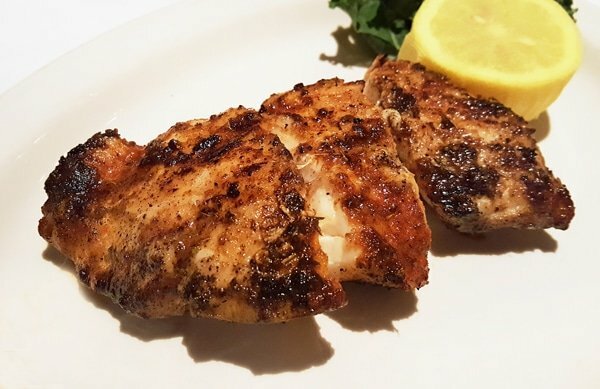 The unique flavor profile of Florida citrus & oak woods combined with a secret seasoning recipe has kept them in the Top Ten Steakhouses and Seafood Houses in America for decades. The mellow smoke from the Florida citrus wood works equally well with steak and seafood, while the oak burns hot and even keeping the flame consistent on their 1200 degree pit. I started the night off with the biggest most delicious Fried Shrimp I’d ever had the pleasure of eating! I couldn’t believe the size of the shrimp I was served and savored each delicious bite. 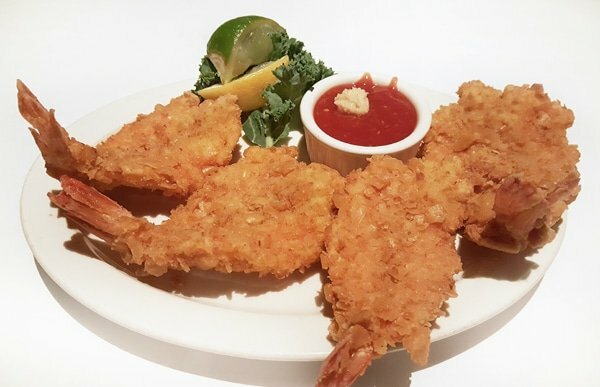 If you’ve never had our Florida gulf shrimp, you don’t know what you’re missing. Sweet and tender and more importantly a Product of the USA, locally sourced from the gulf waters of Florida. People are becoming more and more aware of the need to eat healthy and choose foods that offer nutritional value in their daily meals. It is great that a healthier lifestyle is being embraced. 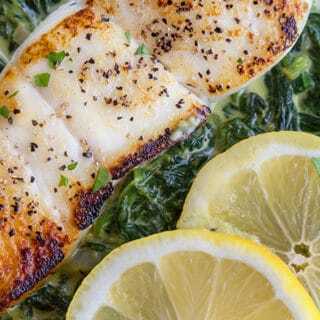 What’s even better is that here in Florida, we have so many great food options from our local markets that offer valuable nutrients to your diet while tasting great! 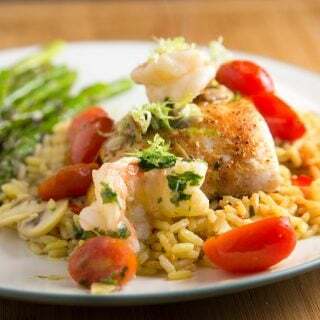 I try to make healthy and delicious choices when looking at a restaurant menu, so it was no surprise that my choice of entree was the Florida Gulf Black Grouper. I always ask my server to recommend the best way to enjoy my dining choices and he didn’t hesitate to recommend it pan blackened. Can you say perfection on a plate? Of course the seasoned diner always knows to pace themselves, so there’s room for dessert. 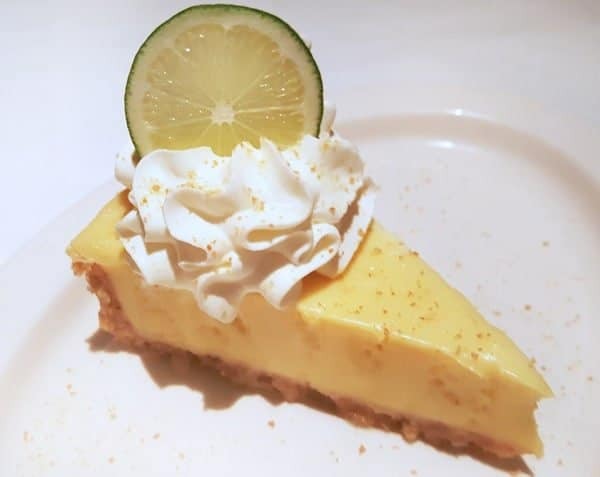 And how could I resist the Florida Key Lime Pie…..sigh. I do consider myself a Key Lime Pie aficionado and Charley’s Florida Key Lime Pie has to be the one of the best I’ve sampled! Notice the more yellow than green color? That comes from the key limes. If its green, its not a Florida Key Lime Pie. Of course there’s always room for second dessert when it’s Florida Berries. We do pride ourselves on the plump juicy berries that are grown in the Sunshine State, and with good reason. 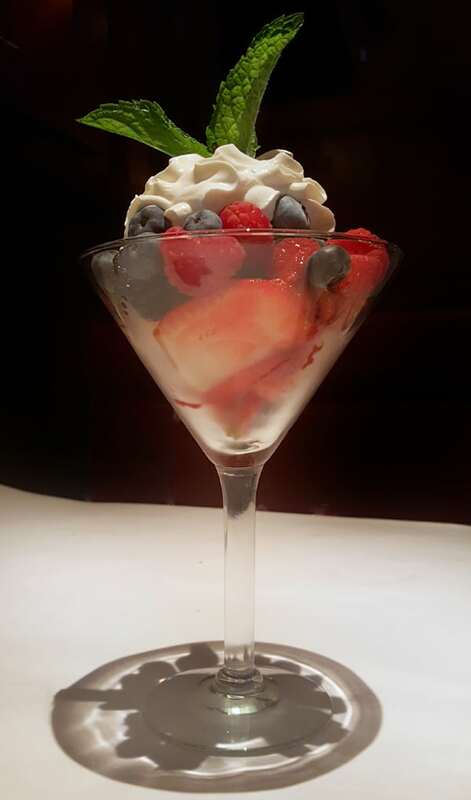 Simply prepared topped with fresh whipped cream, our Florida berries can be served with pride at any table. 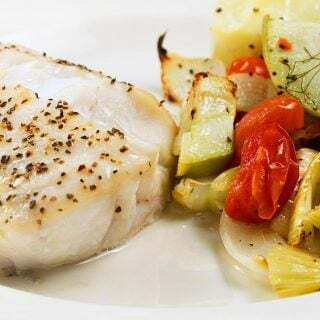 One of the great things about living or visiting Florida is the opportunity to eat fresh seasonal produce and seafood, even when you go out to eat! Next time you are dining out or shopping for groceries, look for the Fresh from Florida logo to make sure that your food selections are fresh, healthy and support your local community. 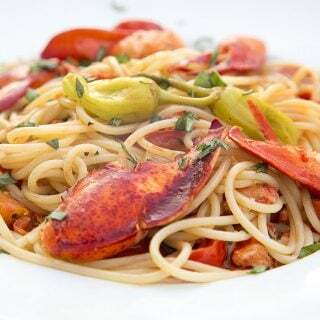 What are some of your favorite dishes featuring Florida produce and seafood? 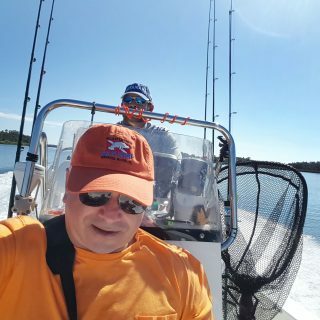 To keep up to date with all the deliciousness Florida has to offer follow Fresh From Florida on Facebook,Fresh From Florida on Twitter and and Instagram. 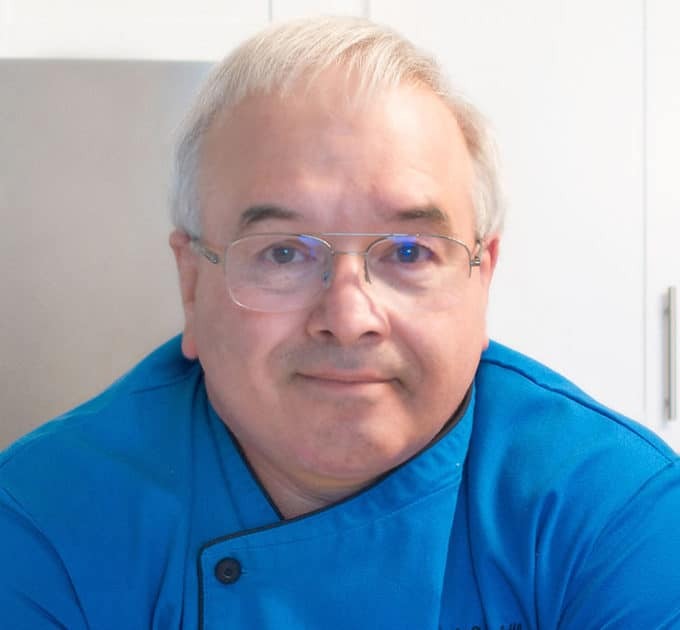 Make sure to visit the Fresh From Florida for delicious menu ideas and recipes. Visit their website for more information about Charley’s Steak House . Love the fresh produce a very healthy way to eat… Gotta visit Charley soon.. Great blog! We always visit Charleys when on holiday from Glasgow,Scotland. The food is second to none and the service is top class. Thanks for stopping by and I’m happy to hear your a fan of Charley’s too Antony! Key lime pie is becoming one of my favorite desserts Kim! I’m going to have to try my hand at making them. My sister lived in Orlando and I believe we went to Charley’s several years ago. It was my first trip there Larry but it sure won’t be my last!